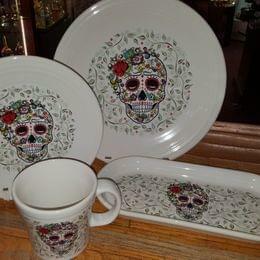 New Fiesta Dishes Are Finally Here!!!! 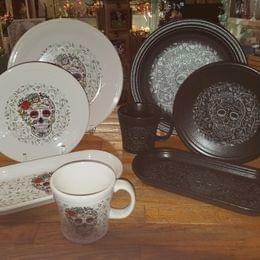 The Fiestaware Day of the Dead and Skull and Vine patterns are here. Some of you will recall that Skull and Vines came out last year and was hugely popular. I am sure that the Day of the Dead will be equally so! 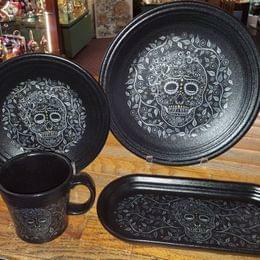 Halloween and Day of the Dead seem like a long time away, but the plates may not be here then. In fact, we have already sold some directly out of the shipping box!! !